The Bandaloom has 3 columns of 13 pegs, for a total of 39 pegs. The columns are staggered to one another, and the loom is molded from a single piece of plastic. 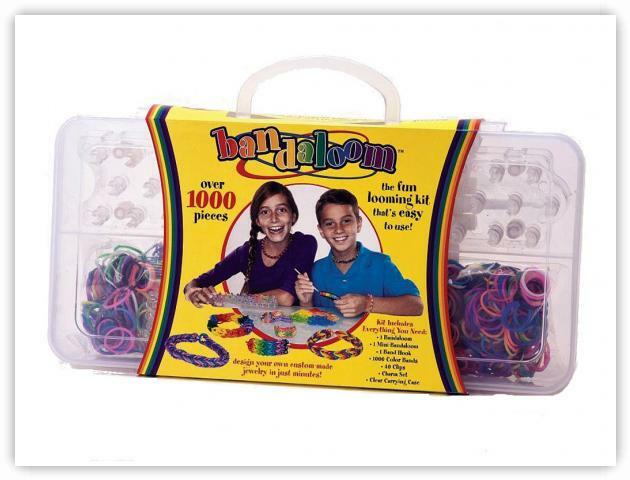 The kit comes with the loom, a mini loom, the loom hook, 40 "S" Clips, 1000 elastic bands, Charms Pack (Heart, Smiley BFF, Start, I Love You) and Storage Case. The kit is available online and "As Seen on TV" stores.